DAEL Telecom UK was selected to place masts on sites with limited access in the Scottish Highlands. These sites are part of the L800 infill geo coverage. That is why a freestanding 15 meter DS006 was built using a helicopter. 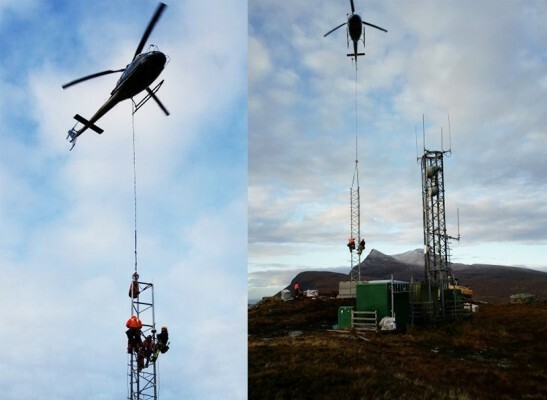 DAEL Telecom UK used a helicopter to transport the materials and place the legs of the tower because of the remote location and limited access for larger equipment.